CardMonkey's Paper Jungle: Rumpled Ribbons in Luscious Colors -- and some news! Rumpled Ribbons in Luscious Colors -- and some news! I have some awesome news that I can finally share: I have been selected to be on the first Lovebug Creations Rumple Ribbons Design Team! Please go to the Lovebug's blog to check out the announcement as well as to meet the other members of the inaugural team. If you haven't seen or used Rumple Ribbons, you're in for a treat. Just go to the Rumple Ribbons shop to check out the luscious hand-dyed and rumpled sweet, soft ribbons to find your favorite colors. One of my favorite colors is Pink Lemonade, which I used on this fun card. The card itself is from The Card Kitchen's January kit collection. But the design only called for the piece of lace at the bottom with a paper button tied with twine. I made it more elegant by adding Rumple Ribbon behind the lace, and as the bow. I tied on an antique pink button, too. Now one of the things you might notice is that my bow isn't Rumpled. That is the versatility of this Ribbon. The "rumpling" process takes time and love -- the easy part is ironing it flat to use it any way you want. I've found that sometimes I like the rumpled more casual look, and other times I like my bows looking more traditional. While on this team, I plan to explore many different ways to use the Rumple Ribbons in my creative process. Will it be curled, rumpled, ironed, frayed, colored, stamped on? Stay tuned and find out how I and my fellow team members use this terrific product. I love your card and am excited to be on the team with you!!! Congrats!! holy cow my friend, I'm so happy for you! II know you've wanted to join a design team and use your skills and now you get to do just that. That's so great. Hope all is well with your foot and charlotte and family are all feeling better. Are you going on a trip any time soon?? you never told me your decision!! hehehe. Congrats Ellen! 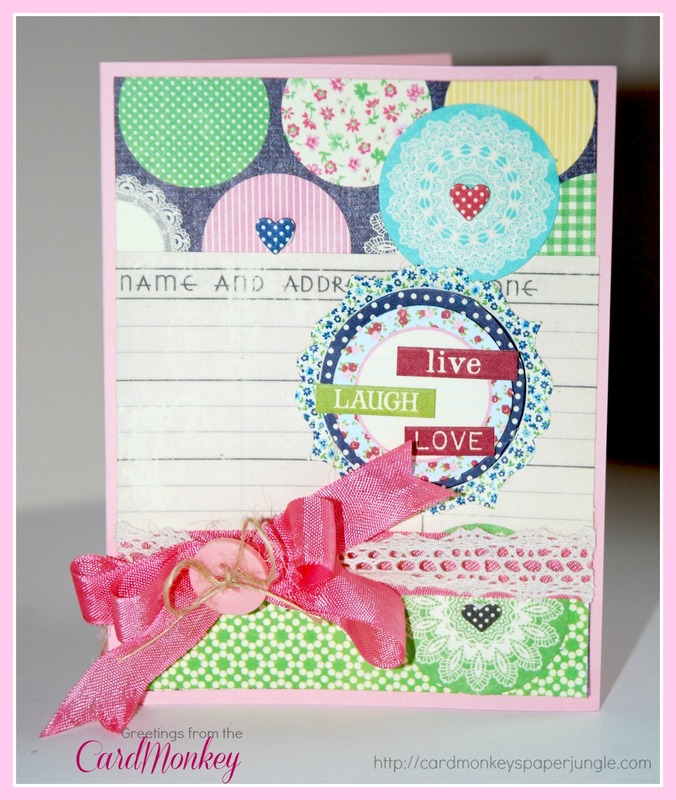 Love your card & am looking forward to seeing more of your creations! HUGS! Love your card! Congrats on making the team! Can't wait to see your beautiful creations! Congrats and so happy to have you on our LBC CT! I love your ideas on versatility of rumple ribbon and look forward to your creativity - this card was gorgeous and a real treasure! Ellen!!!! How exciting! Who would have thought that we would be working together again? I'm so thrilled!